You may have never heard of Farfetch, but the site achieves approximately 10 million visits per month, and ships to customers in almost 190 countries. The global luxury fashion platform (“The world’s greatest selection of luxury”) was established in 2007 by José Manuel Ferreira Neves, a British-based Portuguese businessman. 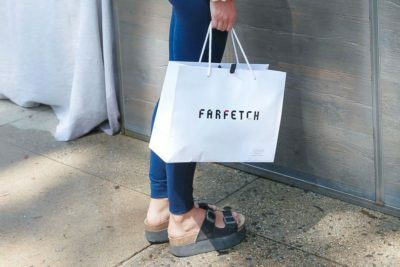 According to an article in Fast Company, the Farfetch platform now connects shoppers with more than 400 luxury boutiques through a single Internet storefront, offering small mom-and-pop shops a sophisticated online shopping technology to power e-commerce. Farfetch, which earns a percentage on each sale, allows these small luxury clothing boutiques to serve their well-heeled customers online as well as in their brick and mortar locations. This augmented retail concept may indeed be the store of the future, as it creates a link between the world of the brick and mortar store and the highly data-driven experience of online shopping. Neves imagines that the platform, augmented by the work of independent developers, will allow retailers to collect data in their stores and merge it with online browsing information, and also to have instant access to inventory information. 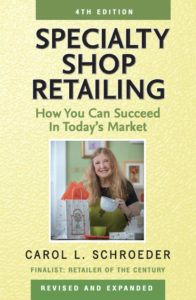 Getting to know your customer and your stock, in other words — but using modern digital tools to make a seamless link between the clicks & bricks that are both important parts of today’s retail world. Only time will tell whether this technology will be the future for non-luxury independent retailers, but elements of it may well be commonplace in the years to come.